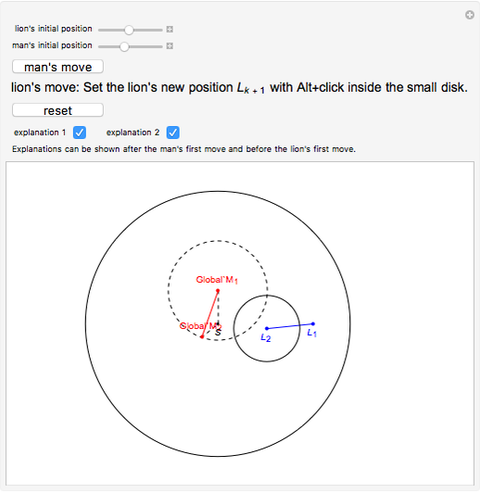 A man and a lion are inside a disk of radius 1 with center . Both have a top speed of 1. Can the man choose a strategy to avoid being captured by the lion? 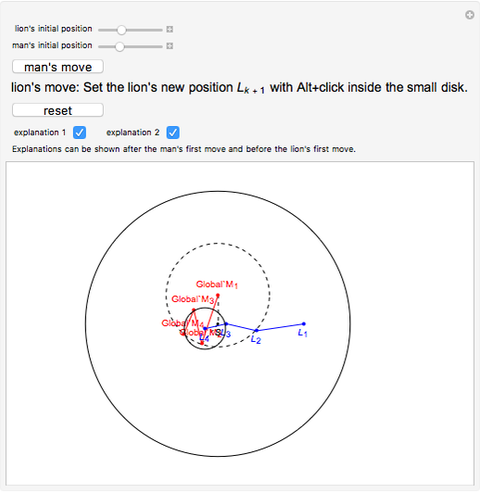 To use the Demonstration, alternate the man's move (button) and the lion's move (choose a point inside the small circle and Alt+click). 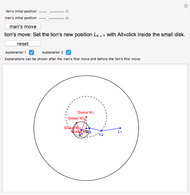 A solution consists of a polygonal line of length , with , where . 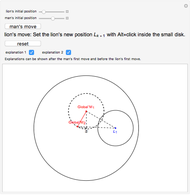 The lion can run a path of the same length and can choose the strategy so that the distance converges to 0, but only as time goes to infinity. 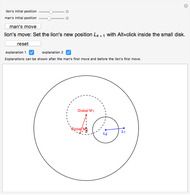 So the man is always inside the disk (explanation 1 for ). 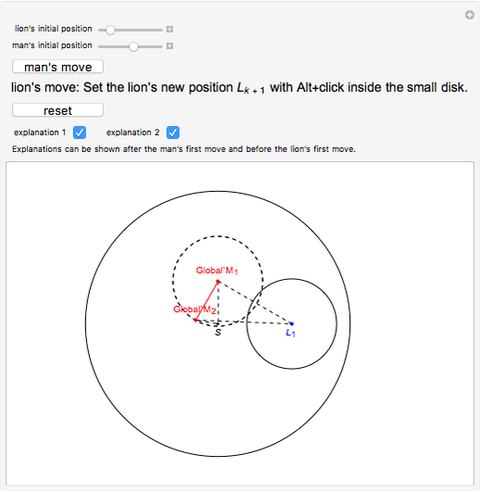 The distance between the man and the lion is (explanation 2 for ). To prove the construction is correct, it is necessary to show that the distance of to is less than 1 and that the length of is greater than 0. J. E. Littlewood, A Mathematician's Miscellany (Russian edition), Moscow: Nauka, 1973 pp. 141–143. V. Devide, 100 Elementary but Difficult Problems (in Croatian), Belgrade: ZIUSRS, 1965 pp. 87–89. Izidor Hafner "Lion and Man"